By popular demand, YES, we are having a #RunChatHunt! But please take note - it’s one week only … so get in on the action on your next run. As part of our Scavenger Hunt, we have three of our classic items for you to find along with three prizes from our longtime sponsor at PRO Compression. Over the years, we’ve had several items pop up in the voting period of #RunChatHunt that have overwhelmingly been at the top, so we’ve decided for this week for those items to be the items you need to find, take pics and tweet for a chance to win a pair of compression socks. And we’re asking you to join this week’s #RunChat - 8 p.m. ET Sunday, Dec. 9 - to be fully entered to win! If you’re new to #RunChatHunt, it’s really simple - you go for a run, find those items, take a pic, tweet it with the #RunChatHunt tag. We’d like for you to also use the #RunChat tag, but it’s not a requirement to be entered. Retweets and favoriting of tweets do not increase your chances of winning. Photos posted using the #RunChatHunt may be used across our social media sites, online or in emails. The third and final week of a revamped #RunChatHunt is here with a couple of our classic Scavenger Hunt items and one that's left up for you to figure out how to find. This week's prizes are tied our next #RunChat sponsor - our longtime friends with PRO Compression! For the third item, have as much fun as you'd like it. Is it your shoes? Something on your favorite route? A friend that you like to run with often? As long as it has something to do with what you love about running, it counts as an entry. Up for grabs this week are a pair of PRO Compression socks! We'll have three pairs up for grabs for three people who enter to win! Photos must be posted by 9 p.m. ET Sunday, June 17! The winners will be selected at random and announced toward the end of the next #RunChat, which kicks off at 10 p.m. ET June 17. Everyone is eligible to win, but residents outside the U.S. have to pay for shipping. Our bi-annual Scavenger Hunt - better known as #RunChatHunt - returns this week with a huge twist! Instead of a long list of items to find over the course of a month, we're giving you the challenge of finding three items over about a week coupled with prizes from that week's sponsor. And we're really excited to kick this off with our returning sponsor JackRabbit! AND as part of #RunChatHunt, you're eligible to win one a pair of Goodr sunglasses and a pair of Brooks Running shoes by simply finding the items below while you're on a run and tweeting a photo with the hashtag #RunChatHunt by 9 p.m. ET Sunday, June 3. 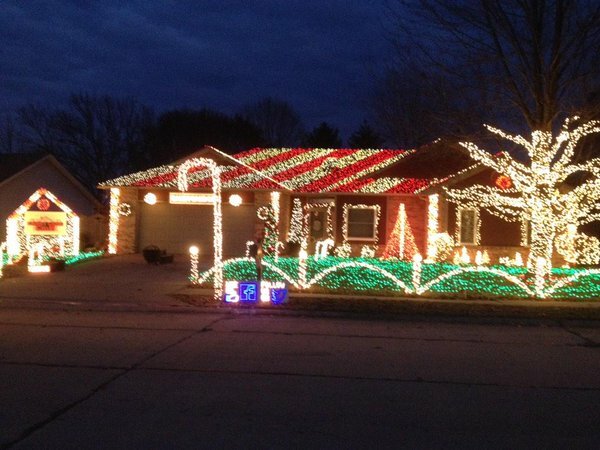 As with previous #RunChatHunt events, be creative. Can't find wildlife? We're fine with what you interpret as wild. Or even a statue of an animal is fine if you're having trouble or just don't like animals. These prizes are eligible for US residents only, but we invite everyone to join in just having fun! Winners are chosen at random and will be announced at the end of Sunday's #RunChat. And after you're done with #RunChatHunt, join us for #RunChat at 10 p.m. ET Sunday, June 3 where we'll announce winners AND a winner of a $75 gift card to JackRabbit.com that you can use for any of your running items! Click here to enter! Thank you, thank you, thank you! The most recent #RunChatHunt sponsored by the new Altra Duo was awesome! 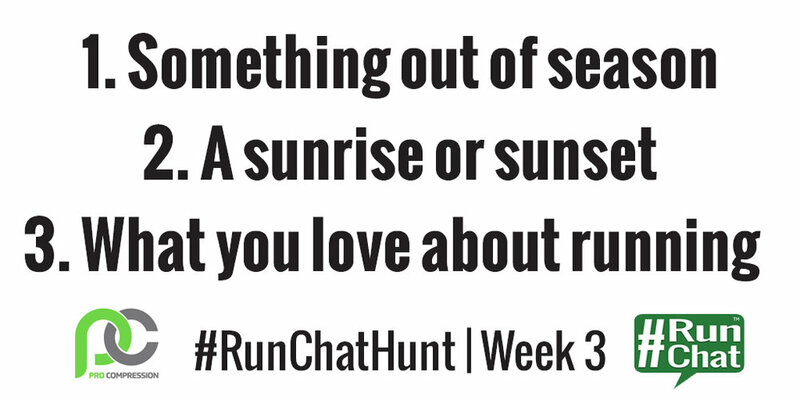 Be sure to search the #RunChatHunt tag on Twitter for all the highlights! New this year we're showing you the tweets that were drawn at random for all the prizes. If you are a winner, we will be tagging you this week from @therunchat account -- please wait for that tweet to send us a DM with your email address. Free entry to any distance race at The North Face Endurance Challenge Massachusetts on June 9-10, 2018. Instead of the 12 Days of Christmas we have the 12 Items of #RunChatHunt sponsored by the new Altra Duo! The bi-annual #RunChatHunt is back with some old favorites and several new items for you to find in June! This version of #RunChatHunt is sponsored by Road ID and will work just like all the other scavenger hunts: we have a list of 10 items for you to find while you're out on a run, you take photos of those items, and tweet a photo of each item to be entered to win lots of great prizes. HAVE FUN. Don't take things so literal, especially if you're struggling to find an item. In other words, get creative with your entries. By posting a photo and using the #RunChatHunt, you're also giving us the OK to post these photos to any #RunChat social accounts. We'll give you photo credit, of course. Have a question about #RunChatHunt? Ask @therunchat on Twitter and we'll get back to you as soon as we can. Each photo will be entered to win some awesome prizes, which will be revealed later. The first step it to nominate items to find. Simply fill out the information below by the end of the day Tuesday, May 23, and then watch for a voting period to open up later in the week!